Visitor information guide to Pyramid Lake boat rentals and watercraft services company at the marina. 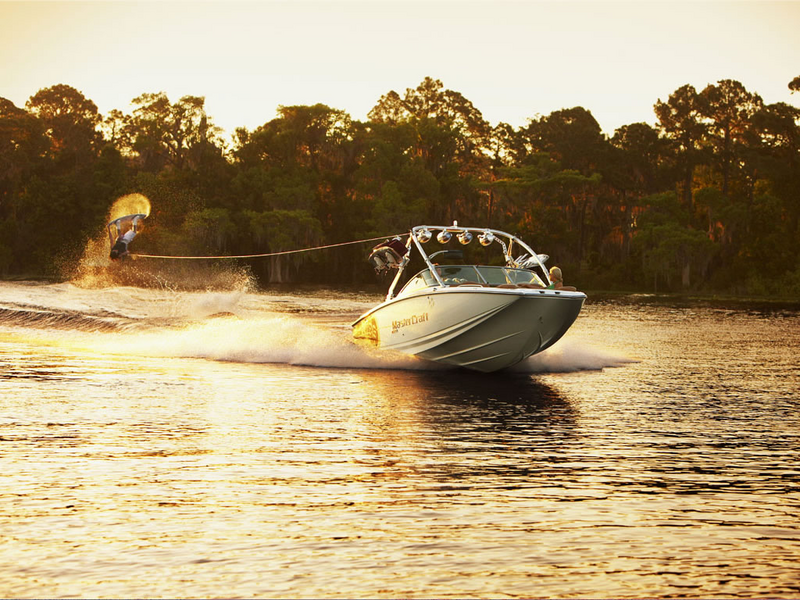 Enjoy watercraft activities offered by the premier provider of high end wakeboard and water ski boats in California. Pyramid Lake is a reservoir formed by Pyramid Dam on Piru Creek in the eastern San Emigdio Mountains, near Castaic, Southern California; however this lake is much smaller than Castaic Lake causing it to get crowded on the weekends and holidays. 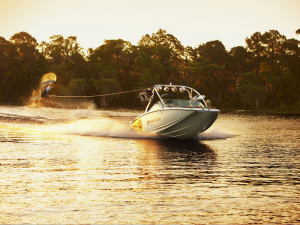 Water sport lessons can include wakeboarding, water skiing, kneeboarding, tubing, wakesurfing, and others. The name of the lake comes from the Pyramid Rock, created when a ridge was cut through in 1932 by the Ridge Route Alternate. Pyramid Rock still exists directly in front of the dam bringing many visitors to see the beauty. Pyramid Lake offers boating, fishing, jet skiing, and picnic areas; including private areas around the lake which can be accessed by boat only. There and courtesy docks for use, but all watercraft is restricted for day use only. Access is from Interstate 5, please be aware of the park regulations before coming as there is restrictions on what you can bring in the park.